Well, after looking at them every day for a year I have finally ordered a Flex 6400. New Flex 6400 tucked under the bench. It's a network appliance. I built a Y on one end of a shielded CAT6 cable to connect to the 1/8" for microphone and an RCA plug for PTT. The other end is plugged into my switch box. Since I recently purchased a Yaesu FT-991A and have a microphone setup using a Yaesu MD-100 dynamic microphone, I found a 2 position A/B switch box on Ebay for $6.98 and FREE shipping. Add 2ea, 2 foot shielded CAT-5 patch cords from SF Cable and you have a great A/B microphone switch. "I think that you need to set the setup->DSP->phone->RX butter size low to allow it work. If you keep the RX buffer big 2048 or 4096, you get super sharp band pass filtering, but it messes up the NR and ANF. Not sure why. If you set the buffer to 1024 or smaller, NR & ANF will work better. Then you can set the TAPS big so the NR can work out the noise better. If you try a high TAPS while running a big RX buffer, its really bad. NR seems to work better in AM than SSB." Flex users and FlexRadio employees hints, problems, and fixes. Freeware. Link downloads the .exe file. Setup a FlexRadio CAT port for the meter to attach to. Many Flex users have extensive remote control systems for their radio, antennas and rotors. I just wanted something to turn on/off and re-boot the radio when I was operating remote. The Flex Community have come up with the solution below. It's cheep and works well. If you already have other remote Internet Of Things ( IOT ) plugs in your house you could use them with the relay module. Connect a jumper with bare wires on the NO and Common on the relay module. Put an RCA plug on the other and connect that to the Remote RCA connector. Use the their app to turn your radio on/off remotely. Universal control voltage 3-60VDC or 12-120VAC connects to Arduino, Raspberry Pi, PIC or other micro. Or connect directly to a 12V to 48VDC or even 120VAC circuit. https://dlidirect.com/products/iot-power-relay. Available on Amazon when they have them in stock. FlexRadio no longer upgrades the PowerSDR software but, KE9NS not only keeps it current but is continually adding improvements and new features to PowerSDR. Click here to download the latest KE9NS PowerSDR features. Supports the Flex 1500, 3000, and the 5000. W6OP Flex 3000/5000 basic and advanced setups. *How to Configure the FLEX-3000/5000 for use with WINMOR. *Above How to saved in MS Word format for easier read. One of the great things about Software Defined Radio is the ability to make "virtual" ports. Most of the above links recommend the Com0Com virtual serial port software and the Virtual Audio Cable program to create audio ports. VAC worked great for me ( Probably because it is not free? ) but Com0Com was a complete bust. Thanks to Google I found VSPM ( Virtual Serial Port Monitor ) by K5FR. Worked great for me for HRD and Winlink. 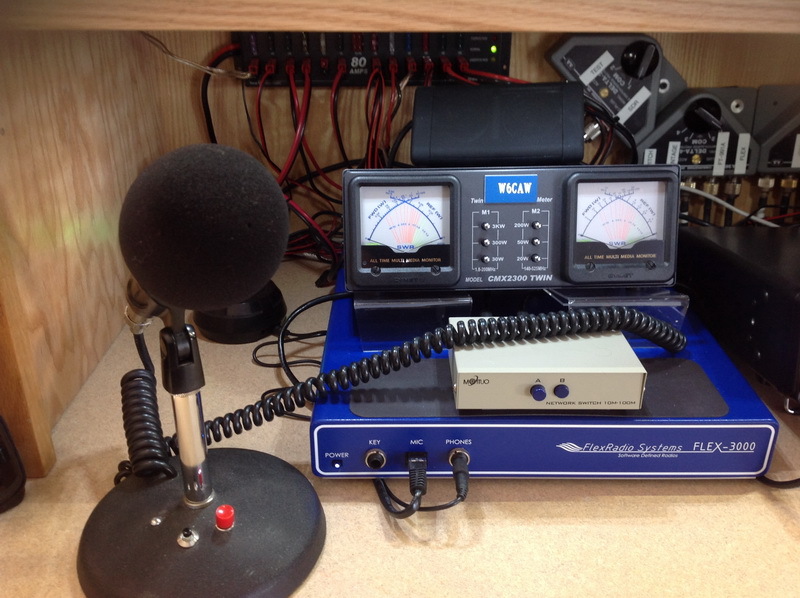 A Voice over IP (VoIP) application primarily designed for two-way amateur radio remote control over the Internet I haven't tried this yet but gets good reviews.